I was very pleased to hear that the council has decided to reject the request to remove Elmhurst Cottage in Shrewsbury Lane from their Locally Listed Buildings list, retaining for it the protections given to buildings on the list. Please find below details of the decision taken on 15/12/15 by Councillor Thorpe, Cabinet Member for Regeneration and Transport, which comes into force today 22/12/15. 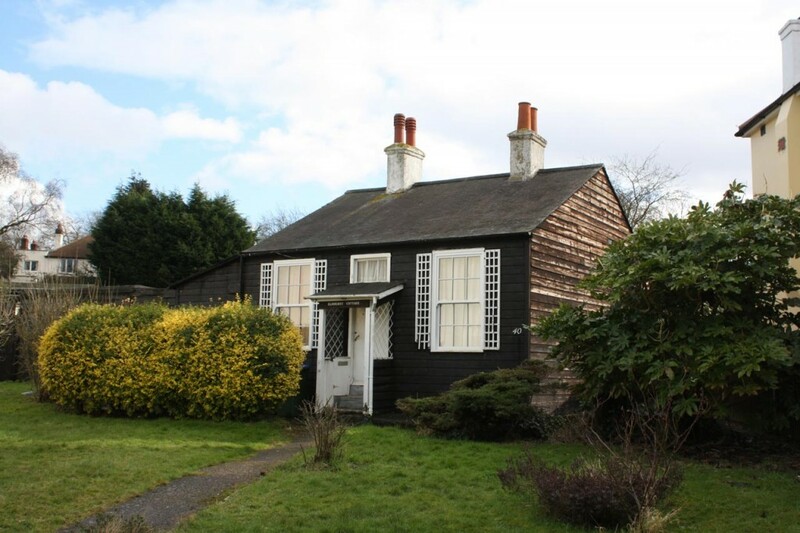 · Approved: the retention of Elmhurst Cottage on the Royal Borough’s List of Buildings of Local Architectural or Historic Interest (known as the ‘Local List’). · Agreed: the amendment of the List entry for Elmhurst Cottage to accurately describe the building’s architectural interest, historic interest and environmental significance. A small, single storey weather-boarded cottage, with slate roof and sash windows. Decorative trellis work to sides of windows and projecting porch. Set back from the road at an angle, with extensive front and rear gardens. The building and its site is of historic interest since it has historic associations with the Lidgbirds and the Dallins, significant and well-known landowning families who shaped Shooters Hill. The estate containing the cottage can be traced from the Lidgbirds in 1851 to the trustees of Mary Dallin in 1901. The building is of architectural interest since it is a rare example of a small, weather-boarded Kentish dwelling, the last-surviving one of its type in the area. Built between 1866 and 1894, it is one of the oldest buildings on Shrewsbury Lane and survives the two large houses in the locality, Haddon Lodge and the original Shrewsbury House. The building is of environmental significance since, with its unusual and attractive open setting, it is a time-honoured and locally valued feature which contributes to the character of Shrewsbury Lane and also provides a valuable wildlife haven for lizards, butterflies, bats and birds. Twentyseven of us responded to the consultation about Elmhurst, of whom 25 were against de-listing the cottage and 2 in favour. I suspect we haven’t heard the last of attempts to redevelop the land that the cottage occupies. I did not know this was listed. I was passing by one day and knocked on the door as I wanted some dandilions for my guinea pigs. No one replied. The door was flung open and there was water treakling out. I went in to check, worrying that someone might be inside and hurt. I found the bathroom had a broken pipe, someone had bent it in an attempt to stem the leak, but the bath was full and overflowing. The walls were rotting, so was the floor. I was very upset to see this place crumbling. I talked to neighbours who explained that the landlord was letting it rot because he wasn’t interested in fixing it as it was listed. The sheds and the side of the house had their roofs sinking in and crumbling. Is there anything that can be done about it?